I recently took some time to look through the different releases we have made of Toad over the years since we started and just thought I would share it with you guys. 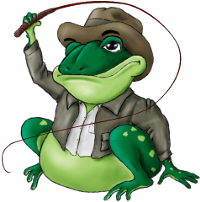 I chose the Toad for SQL Server release because that was the one which had made the most releases (For instance Toad for DB2 never made the 3.1 release). I have to say that looking at from where we have come Toad is becoming a lot more polished. Especially starting with 4.0 it seem that we have started putting more time into polishing stuff up than just trying to cram as much features as possible. It is also pretty remarkable how little Toad has changed from our first release. Even if you went straight from 1.0 to 4.0 you would probably feel pretty at home with the application even though there is a lot more functionality in it. This only goes through some really superficial first impressions. There is tons of functionality that has been added all over the application which is not covered at all in this retrospect. Also this only covers the .Net based version of Toad (Everything except the original Toad for Oracle). Finally the Toad for Data Analysis obviously has a very different look even though it is based on the same code and that isn't covered covered either and it isn't that interesting either since it did not join "the family" until version 3.0 of Toad for SQL Server and as such hasn't seen that much change. When you start the app up you get nothing but the startup page (Which is interestingly a different page in this version than all the other versions) and a new connection dialog. Also fetching around a 200000 record long query takes over 1 minute in this release (It’s also N*Log N so fetching 500K takes over 5 minutes). This is also the only release we made that had the history node in the connection manager. Very small visual changes for this release. We added the composite image manager for better icons in the object palette. Also switched out SandDock to UIDock for the tool windows. We also fixed the fetching speed when you fetch everything we are pretty fast in this release, you don’t get any updates until you fetched all the data though. When you fetch just the first 50 rows and then continue we are still really slow. If you look closely you can also see that we switched the tab control in the object palette, added filtering and the column list pane at the bottom. We also added the connection output to the editor. In this release we finally managed to get NGen to work properly so startup time went from 12 seconds in 1.0 to around 9 seconds in this release. This is the first release that figured out that my installed SQL Server instance is called SQLEXPRESS automatically. It also the first with FastData in it so fetching is now pretty fast (Pretty much as fast as before but with updates as you are fetching. This is also the only release which has indication of not null (The blue column header). The most obvious changes here is the new connection tool bar (Which replaced the old connection bar). We also have the new quick search functionality implemented here. We have also added spooling to FastData so we now fetch the 200000 row query in about 5 seconds. This is the first release which doesn’t limit results in the editor by default any more. Here the most obvious change is the panes of the editor. Apart from that there are few visible changes from before. This was mainly a stability improvement release. Now this one is different! First of all we trimmed the grids so that you see a lot more rows from the start. The tabs in the editor has been tweaked to something that most people will find more useful (And they also follow the skin of the main application). The browser is in tree view. You also no longer get the configuration wizard on start up. The toolbars are rearranged so you can see all the buttons (We also no longer show the connection toolbar by default). A lot of the icons have been cleaned up. This is also the first release where the two tool windows showing on the left show up that way by default (In all previous screenshots I opened and rearranged them manually). And also we add the auto hidden tool windows to the right of the screen. And finally we changed the name of the object palette to object explorer. An interesting change here is that we fixed a bug all the way from 1.0 of the product to not apply a skin by default. We also fixed the “edit” indicator button on grids. You can also see that the connection output is now gone and replaced with the messages tab. More work on cleaning up icons. We also see that we don’t expand the database node by default anymore in difference from 4.0. Another change in the 4.1 release is that on my machine this starts in around 5 seconds. Every release up to this release has started in around 9 seconds except for the 1.0 release which took 12 seconds.